Area of Interest:My current research interests concern blackness and freedom; place identities; black-identified communities and history, and rural transformations. Geographically, my work has focused in the Caribbean and the United States. For the past fifteen years, I have been studying communities known as black towns, the U.S. settlements dating back to the late 19th century that were established to provide freedom and security to people of African descent. The common narrative about black towns is that, economically and socially, they thrived during the Jim Crow era. My research pushes back on the idea that black towns’ significance is in the past. In my book, Black Towns, Black Futures: The Enduring Allure of a Black Place in the American West (forthcoming with the University of North Carolina Press), I explore what it means to be a black-identified, racially-defined small town in the twenty-first century, highlighting the complexities associated with the contemporary attraction of historic black towns in the Western U.S. Black Towns, Black Futures explores the diverse and extensive ways that people engage with the communities, especially looking at the active and complex regard for black towns as historically remarkable and contemporarily modern, American, and racially-distinct spaces of black sociality. Pursuing my broader interest in black communities, I have a new project called Mapping Black Towns to develop a digital, interactive map representing the significance and transformation in blackness, place, freedom and security. An interdisciplinary project, the map will demonstrate the historical development and social and economic transformation of towns created for the support of people of African descent from the early 19th century through the late 20th century. Through my work at the Institute of African American Research, I am also co-organizer of a major conference facilitating an exchange of expert knowledge about black communities from the perspective of black community residents and academic scholars. Now in its second run, Black Communities: A Conference for Collaboration, fosters community-engaged research partnerships, between universities and communities, about and in support of black community life. My first major study looked at Caribbean banana farmers who were navigating a significant shift in trade policy that threatened their access to an overseas market. I wanted to know how farmers were responding to this major impending change. Framed around work on globalization, place and social movements, my book, Free Trade and Freedom: Neoliberalism, Place and Nation in the Caribbean, looks at how farmers’ engaged critically with neoliberal policies that were visibly manifest at the state level. The book demonstrates that, collective action and place-based narratives drawing on themes relevant to the plantation history in banana farming communities’, were especially important in how farmers’ challenged policies and state practices negatively impacting their livelihood. With anthropologist Deborah A. Thomas (University of Pennsylvania), I also led a six-year project interrogating the development of Caribbean Studies as an intellectual and political project. To do this work we organized and convened a series of events (workshops, roundtables, symposia, conference panels and interviews) involving a range of interdisciplinary and international scholars who examined trajectories, influences and synergies within this particular area studies field. Based on these discussions, we co-authored articles (“Rethinking Global and Area Studies: Insights from Caribbeanist Anthropology”, “Caribbean Studies, Anthropology, and U.S. Academic Realignments”) and edited a special journal issue, Caribbeanist Anthropology at the Crossroads: Revisiting Themes, Revising Concepts. 2017 “Caribbean Free Villages: Toward an Anthropology of Blackness, Place and Freedom.” American Ethnologist 44(3): 425-434. 2017 Blackness and Tourism. 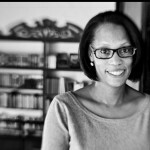 Guest editor for special issue of Souls: A Critical Journal of Black Politics, Culture and Society vol. 19. No. 1. 2017 “The African Diaspora, the Caribbean and Oklahoma: Freedom, Global Economies, and Identity.” In: Companion to Inter-American Studies, Willie Raussert, ed. Pp. 382-389. London: Routledge. 2009 “Situating Whites and Whiteness in the Work of Mozell C. Hill.” TransformingAnthropology. 17(1):34-38. 2008 “Caribbean Studies, Anthropology, and U.S. Academic Realignments.” (co-authored with Deborah Thomas) Souls: A Critical Journal of Black Politics, Culture and Society 10(2): 123-137. 2007 Caribbeanist Anthropologies at the Crossroads: Revisiting Themes, Revising Concepts. Guest go-editor for special journal issue. Identities: Global Studies in Power and Culture. vol .14. no. 1/2. 2007 “Situating Sugar Strikes: Contestations of Race and Politics in Decolonizing St. Lucia.” Identities: Global Studies in Power and Culture 14 (1/2): 39-62. 2006 Free Trade and Freedom: Neoliberalism, Place, and Nation in the Caribbean. University of Michigan Press. 2001 “Negotiating Identity and Black Feminist Politics in Caribbean Research.” In: Black Feminist Anthropology: Theory, Praxis, Poetics, and Politics. Irma McClaurin, editor, pp. 126-149. Rutgers University Press.